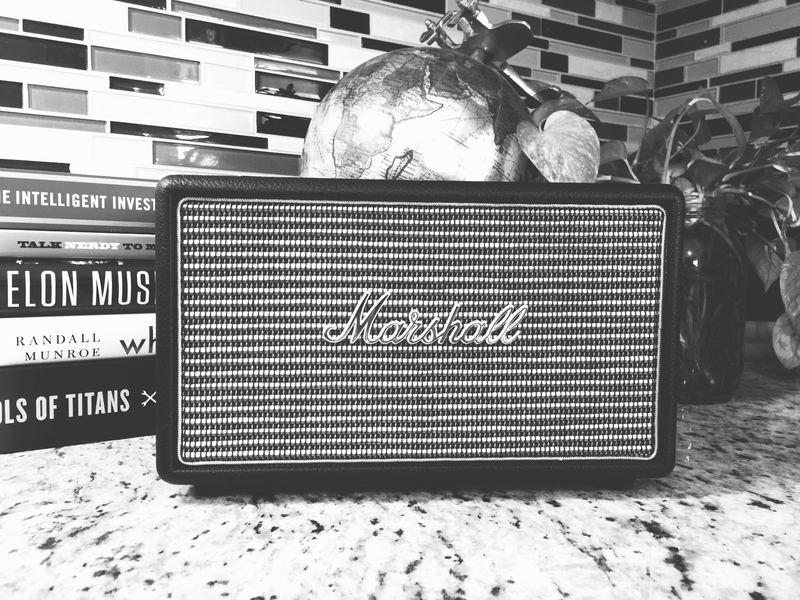 Marshall Acton is the best home Bluetooth speaker on the market. I am an average consumer, I am not an audiophile, I repeat not an audiophile. According to my testing, the Acton speaker can easily fill up an 800 square foot floor with no effort. The speaker sounds amazing and I never maxed the volume. Most of my time using the speaker, the volume is between 20% to 40% of the max volume. I love to control the bass and treble of the speaker to customize exactly how I want it. 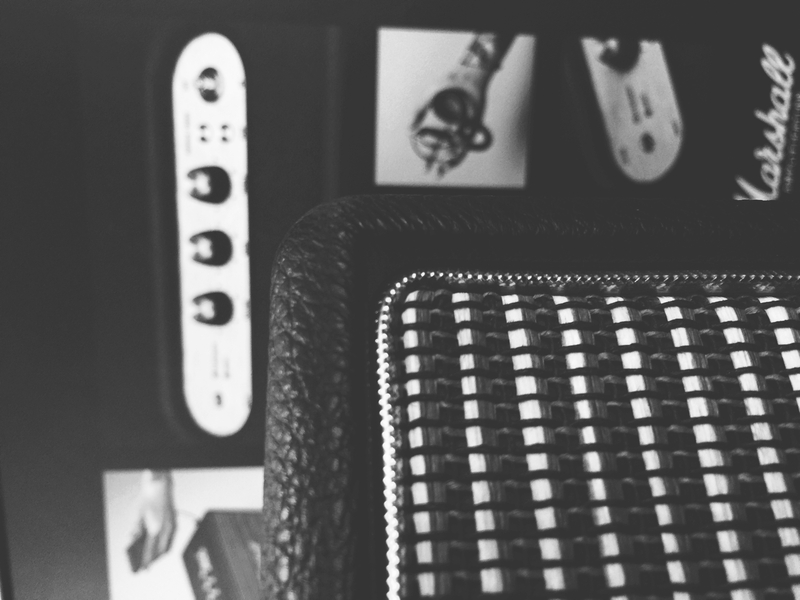 I love the design of the speaker. It gives an old school look with the faux leather and the metal accents. The speaker is very nicely built with excellent feedback, especially the on/off toggle. It gives the feeling of using an old airplane toggle. I initially bought the speaker for its design. I didn’t know how it would sound even though I heard good thing about Marschall. There are no other speakers better designed on the marker than the family of speakers offer by Marshall. 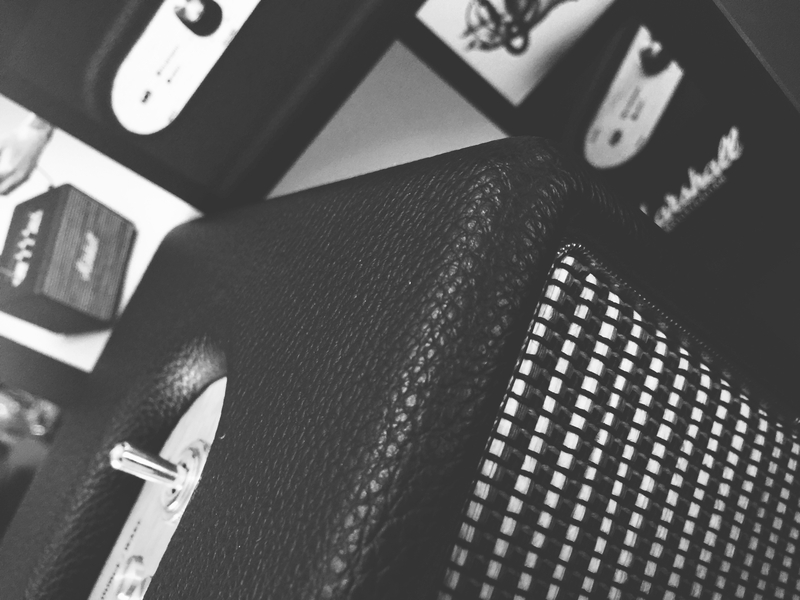 The Acton speaker is the smallest plug-in model offered by Marshall at a retail price of $249 USD. In the box, there is a Type A plug and a Type C plug, a manual box, a cloth, a 3.5 mm audio cable and the speaker itself. 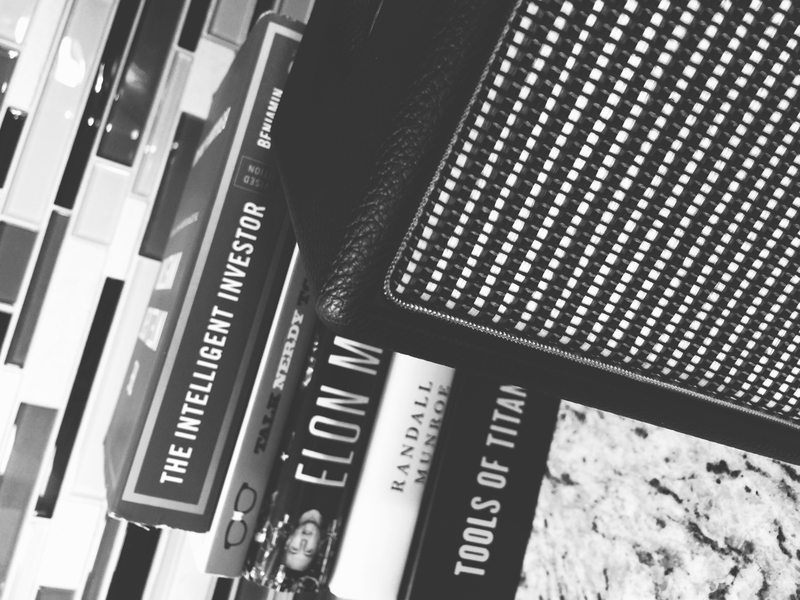 The Acton is a Bluetooth speaker that need to be plugged into a socket to work. It has one ¾inc dome tweeter on each side of the 4-inch woofer which is in the middle. 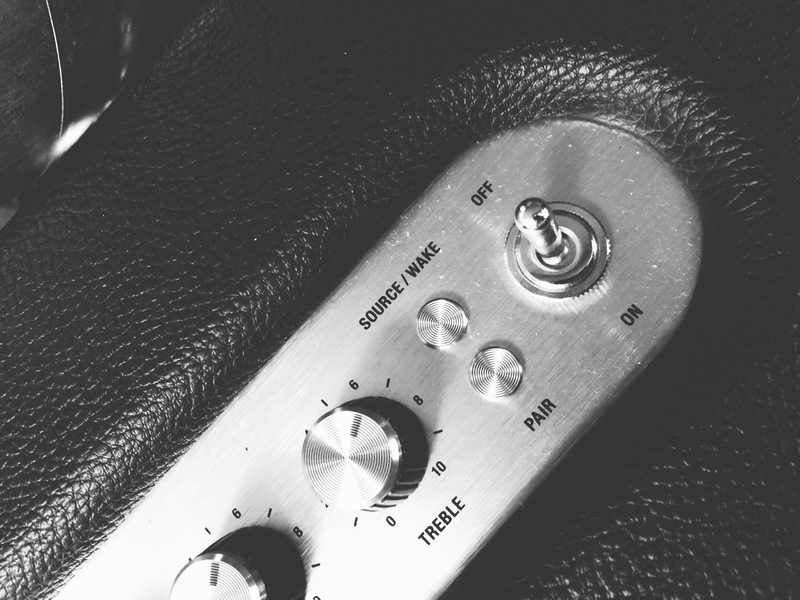 On top of the speaker, from left to right, there is a 3.5 mm input, a Bluetooth and Input light, a volume knob, a bass nob, a treble nob, a source/wake up button, a pairing button and an on/off indicator. The 3.5mm audio cable that is included is the box is the most beautiful audio cable I have ever seen. I paid over $25 for 3.5mm audio cable a couple of time, but they are nothing compared to what Marshall gives with their speaker. The only con that I can found is that you need to manually change the bass and treble and can’t change through a phone or a computer. Maybe there is a way, but I did not find it. I recommend this speaker if you are someone who loves well built and designed object. You can for sure find a cheaper or probably a better sounding speaker, but I don’t believe you will be able to find a speaker with a more beautiful industrial design.